I hope you have a nice day so far or it will be one. I hope I can sweeten your day with this guest post by Antonia Aquilante, author of A Dance of Water and Air, the first of two amazing books about two princes who love each other. She’s talking in her guest post about the balance of power, what role it means for the princes and her writing in general. Check this post also out for the excerpt. Happy to have you here for this special blog feature today. I have author C.M. Valencourt as a guest on my blog today and they agreed to an interview. C.M. Valencourt’s debut work From the Ashes, is an amazing book about grief, loving friends and close connections. Our heroes are going on a roadtrip with a very special purpose.. What it is? Read below what the author said about and more. Also don’t miss my review at the end of the post. I hope you are in the mood of a nice, enemies to lovers, workplace story where both main character share the past, in fact were step brothers? If this is your mojo you wanna grab One Step Back by Edie Danford. today I’m want to share my reviews of the re-released books Slide + Rare, book 1+2 in the Roads series, by Garrett Leigh. To celebrate this re-release I participated also in the release blitz post. I am thrilled to be part of the review tour participants of Sam Burn’s sixth book in the Rowan Harbor Cycle series, Adder and Willow. With this book the second trilogy of three in total comes to an end, so prepare to read three more books in the whole series (for those who got lost :D). If this picked your interest read further what’s the book about read further. The release blitz post can be read here. today I’m one of the blogs participating in the re-release day blitz and review tour of Garrett Leigh’s Slide + Rare, book 1+2 in the Roads series. Also scroll down to enter the cool giveaway. The Isolation series, Legacy Strain. Read this post for an excerpt, don’t miss the giveaway. 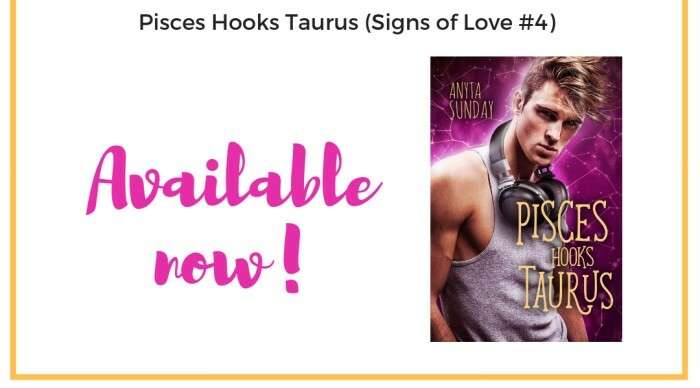 I’m thrilled to be one of the blogs in the release blitz and review tour of Anyta Sunday’s 4th book in her Signs of Love series, Pisces Hooks Taurus. The book is out October 16th and it’s a delight to read. The book can be read as a stand-alone but I would recommend to the other books too. See my reviews of the other books in the series. happy to have you here. I’m so happy to share my release blitz post with you, which includes my review. Read further and you can have a sneak peak of the book with the cool excerpt. And while you’re there, be sure to participate in the giveaway at the end of the post. 🙂 Good luck. I am thrilled to announce author Julianna Thorn today on my blog, who’s debut work, Farm of Fancy, is out in the wild. She was gracious in agreeing to a guest post so I’m excited to share her post with you. In the post she talks about How Environment affects communication and influences a character. Read below what this means for her character in Farm of Fancy, how this is a big topic for either Gabriel as well as David. My lovely readers, I am thrilled to announce the release day blitz of Sam Burn’s sixth book in the Rowan Harbor Cycle series, Adder and Willow. If this picked your interest read further what’s the book about read further , also be sure you don’t miss the giveaway at the end of the post. Good luck. My review will follow October 19th. I’m happy to have you here today for my review of Anna Martin’s latest book Lone Wolf, an amazing shifter paranormal romance. I’m happy to have you here today because I want to share my release blitz post of Anna Martin’s latest book Lone Wolf, an amazing shifter paranormal romance, with you. Hello my lovely followers. Happy to have you here for this speciual release blitz of C.M. Valencourt’s debut work From the Ashes, an amazing book about grief, loving friends and close connections and going on a roadtrip with a special purpose. Don’t miss the giveaway at the end of the post. Read my release blitz post for the second book in the Trouble Brewing series (a spin-off series to the Agents Irish and Whiskey series) by Leyla Reyne, Cask Strength. I’m also part of the Instagram tour, so check out my account. Hello and welcome to the release blitz of The Billionaire’s Legacy by Reese Ryan, a captivating story about a billionaire who’s suddenly father of adorable twins after he had a night with his childhood crush! Please give Dez Schwartz, author of Roam, a nice and warm hello. Roam is truly an amazing paranormal, thrilling book full of mysterious creatures, dreams which are dreams – or not so? My review will be added later, so stay tuned. I hope you have a nice day so far or it will be one. 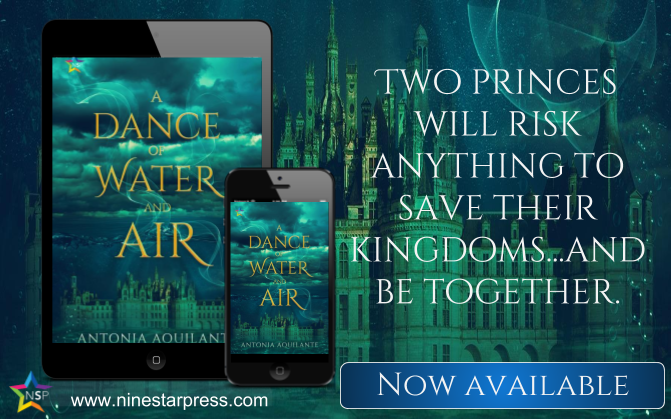 I hope I can sweeten your day with this release blitz post of Antonia Aquilante’s A Dance of Water and Air, the first of two amazing books about two princes who love each other. I’ll add the review later, so stay tuned. Today’s the release day of Talia Hibbert’s Mating the Huntress, a cool shifter story with an amazing heroine.